If I may, I'd like to suggest you listen to his Symphony No. 8. I second that about Symphony No. 8, a great piece. I've been listening to Glass for many years now, even saw him and his ensemble play live in front of a large screen showing Koyaanisqatsi, an amazing experience. Many of his works do sound identical, such as music from The Truman Show soundtrack is exactly the same as from Tirol Concerto for piano & orchestra, and I can understand the argument that arises from those who are negatively critical in their judgment. 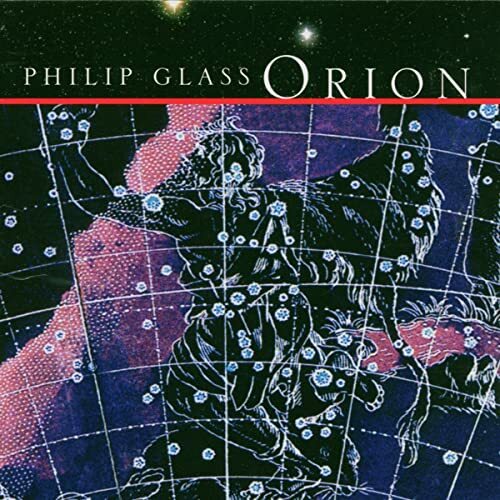 But there is a quality of his music that has always inspired me, there definitely is a Philip Glass sound that comes with each of his pieces and I guess I'm attracted to that sound. When I encourage others to listen to his music, I say to not be contained to a specific decade or genre (film music, concerto, chamber), his music has developed over the years. The bottomline is very simple: I don't like Glass and you like (some) of his music. Whether you agree with my opinion or not isn't going to change the outcome is it? My only issue was that you seemed to be saying something more than just whether or not you liked Glass. Is there a work by Glass that you feel I should hear? A work that will change my opinion? Because I've heard music from Einstein on the Beach to his Symphony No. 3. I haven't been keeping up with what he has been doing lately because I have a feeling of what I'll be getting: go nowhere, undramatic, unemotional, repetition for it's own sake, and the same basic approach to rhythm he's had for years. Obviously I echo the Violin Concerto. Not sure how anyone can listen to that second movement and not hear something of charm and elegance, but you never know. The jury is out. I personally would recommend Glass' film music. Assuming you don't already have any pre-decided stance against film music, then you will find that Glass is a true master of the medium. Film is good for Glass because it requires him to abandon the taxing repetitions and needless atonality of some of his absolute music to thus make something rather accessible. He's forced to work with a theme, and these themes I think tame his aesthetic rather nicely, revealing the power that rhythm, cadence, and layers of harmony can have for compelling themes and melodies, much in the tradition of Schubert and Beethoven (Glass cites them both as principal influences). As such, I'd recommend his score for Koyannisqatsi (considered a canonical classic of the medium) - particulary the 'Pruit Igoe' movement, which was later used again in the film Watchmen - along with the score for The Hours, the 1939 Dracula, and more recently, The Illusionist. There are a lot of gems to be found in his film work. Now, none of these pieces may make your jaw drop, but at least it might reveal Glass to be a capable composer when he wants to be, and when given the right venue. Or not - who knows? That's one of the most charming movements I've heard in any concerto. Unfortunately, the other two movements don't take you anywhere near the profound feeling you get from the second movement. I wish he wrote it as a single work, some kind of a fantasy for violin and orchestra. Okay, I just listened to the slow movement to Glass' Violin Concerto on YouTube and I'm not very impressed. I think my biggest problem is there's nothing harmonically interesting about his music for me. Rhythmically it's not interesting either. He continues to rely on the same old tricks over and over again. There's no kind of motivic development that I enjoy in composers such as Bartok, Stravinsky, Ravel, Koechlin, etc. This is it for your Glass experience. I don't think you have to listen to any other work by this composer. He simply isn't your "cup of tea" and there's absolutely nothing wrong with that. You are right, though. There's nothing "harmonically interesting" in that music. It just happens that some of our ears get pleasure out of it. It's hard to explain what it is that we like about it. It's repetitive, narrow in scope, somewhat shallow in depth... but somehow the sounds make it to your heart. Yeah, I just don't think I have the ears for Glass's music. More power to those that do. In Minimalism, I like Adams, Gorecki, and Pärt. To be precise, there is something literally interesting in Glass's harmony, otherwise his music wouldn't function at all. He repeats small harmonic cells expressed using various rhythmic types and gestural shapes - that's 'what he does.' The 'Glass sound' comes from the fact that those small cells always have something of interest in them, some quirky chord change or at least something to latch onto. If it was just I Ic IV V then the music would never have appealed to anyone at all. Just sayin', I'm not a passionate Glassist though at his best he can be very good. When it comes to my own personal musical tastes, I find him harmonically uninteresting. That's all I'm saying. We can just agree to disagree about this. I happen to be pro Glass. He has a particular sound that is very identifiable which works for me. I also enjoy his movie scores like The Hours, Thin Blue Line, Dracula. Nothing wrong with his String Quartets. Symphonies 2 3 4. You can go to www.grooveshark.com. A very large assortment of his music is available. I never have liked Glass's music, but I'm also not one of these people who despises him. 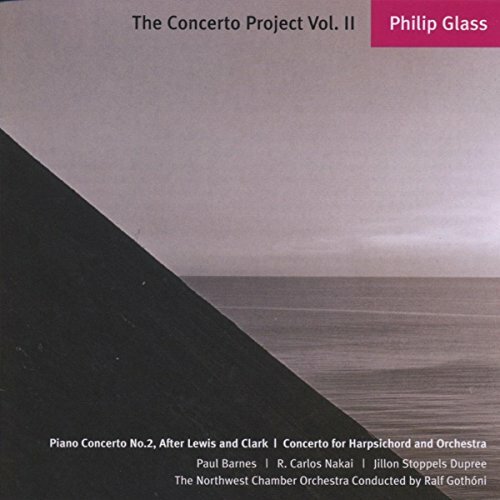 I like his contemporaries like Reich and Adams much better, but both of these composers are so uneven like Glass is reputedly criticized as being. I would have to say that Glass is more consistent with his compositions than the others, which might be why I have a stronger attraction to Glass. He has definitely found a style that is very much his own and doesn't stray too far from it, although his music has developed and became more melodic over the decades, but is always still closely related. Also, MI, since your avatar was Koechlin when I joined GMG, that is how I always vision you looking like, it makes your comments so serious. Stick with the Koechlin. You got it, Greg! I actually got this picture from the Koechlin Facebook group page. It may end up being my permanent avatar. I like Glass, I like some of his works (Akhnaten, -qatsi trilogy, the Bowie symphonies..) A LOT but I would be very cautious about putting him alongside the greats. He's both underrated and overrated at the same time, IMO. Underrated by classical aficionados, who perceive him as shallow & monotonous (which he often is), overrated by art snobs & people who bought The Hours soundtrack (which I find unbearably dull, btw) and believe it's the pinnacle of contemporary classical music (not that I'm implying jhns is one of them). It is not a sin to be successful, even if you are a musician. However, if you are successful, in virtually any field of endeavor, you may expect to be the target of barbs hurled by small-minded, envious narcissists. Count me as a Glass agnostic. He's undoubtedly original, but is this in itself a virtue? The pieces I know by him are trance-inducing — but wouldn't any repeated sound after an extended time have the same effect? The later works I've heard self-consciously mix pop styles and classical like the Bowie pieces — and...? I will mention that I haven't heard a great deal of his music, but no one has quite sold it to me. It seems that most of the Glass fans I know are usually pop fans and not really interested in classical music. The quality of his music is great and he is able to reach out to the audience, unlike other composers who reject us with their ugly noises. Strawman. Plenty of modern music is easy to understand intuitively — even Hollywood movie soundtracks are ripping off Penderecki and Messiaen. This idea of composers purposely alienating their audience seems stuck in the 1950s when this became a concern. Since the explosion of the culture industry the tastes of the public have been degraded considerably, and anyone who wants to court the fickle tastes of this audience does so at the peril of their art becoming quickly forgotten by everyone but music historians. Repetition, repeated arpeggios, etc..is going to be present in almost every Glass piece, but his compositions of late have been more melodic, here are a few recordings that I really enjoy, and that explore many different aspects of Glass's repertoire from World Music (Orion) to Concerto and Chamber. 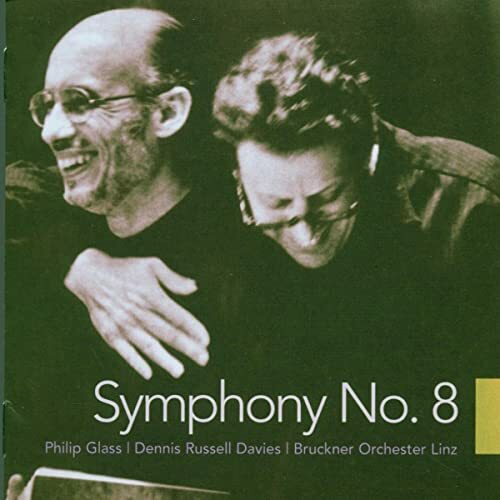 Has anyone here heard Glass's "Concerto Fantasy for Two Timpanists and Orchestra"? The pieces I know by him are trance-inducing — but wouldn't any repeated sound after an extended time have the same effect? Ask that to yourself the next time you hear a car alarm go off! It seems that most of the Glass fans I know are usually pop fans and not really interested in classical music. True. He's easily approachable and has gorgeous, memorable tunes (yeah yeah, hard not to memorize a melodic line if you hear it 3821 times). 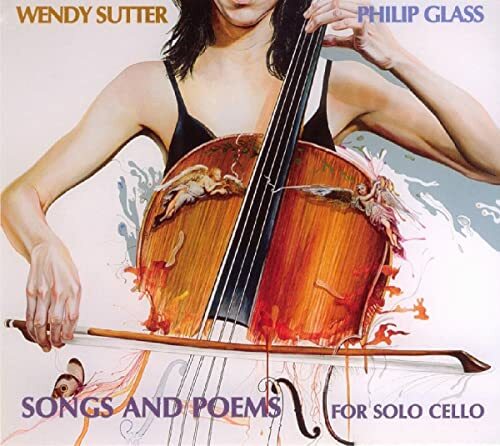 I've been listening to Glass for years before I started to dabble with classical music.